This is snake or a tail? 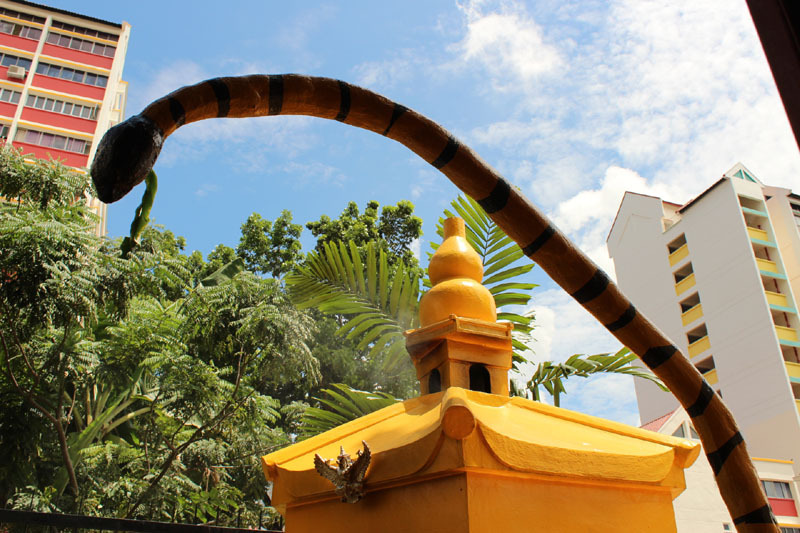 It is the tail of the tiger sculptures outside Sakya Muni Buddha Gaya Temple. 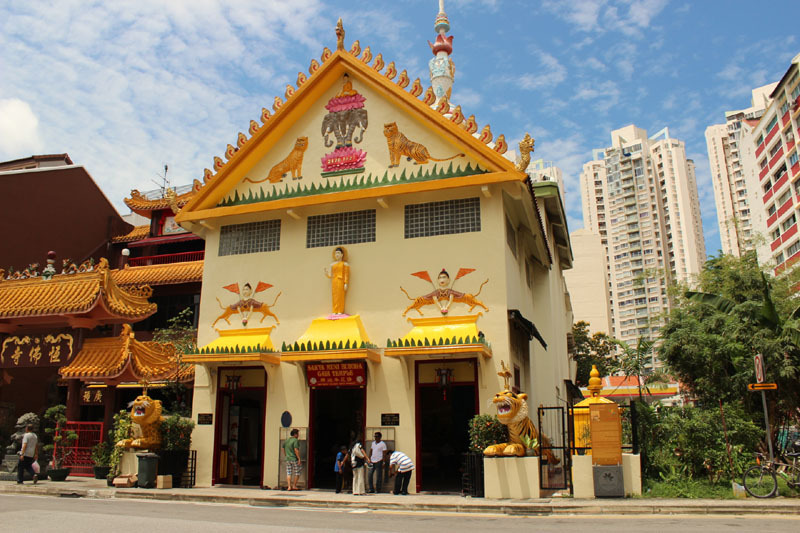 Located at Race Course Road near Balestier Road, this temple was founded by a Thai monk, Venerable Vuttisara in 1927. In those days, ramshackle zinc, wood shelter and a Buddha statue were the initial form. After gaining huge popularity and funded by philanthropist Aw Boon How and Aw Boon Par in 1930, the building was transformed into the grand present stage. 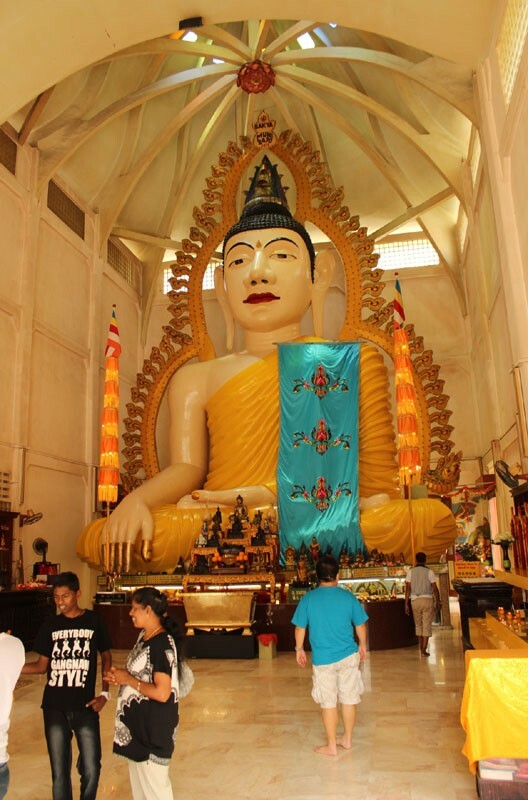 The hall of the temple holds the 300 tonnes Buddha statue that was surrounded by hundreds of lights, which is why the temple was named after it (The Temple of 1,000 Lights). The philanthropist brothers, Aw Boon How and Aw Boon Par is the founders of the Tiger Balm Enterprise. 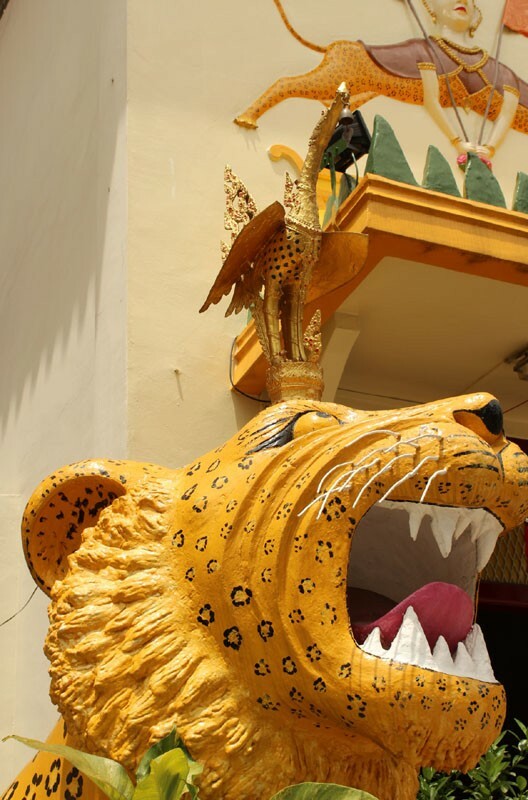 “How” in Chinese dialects represent tiger and “Par” represents leopard. 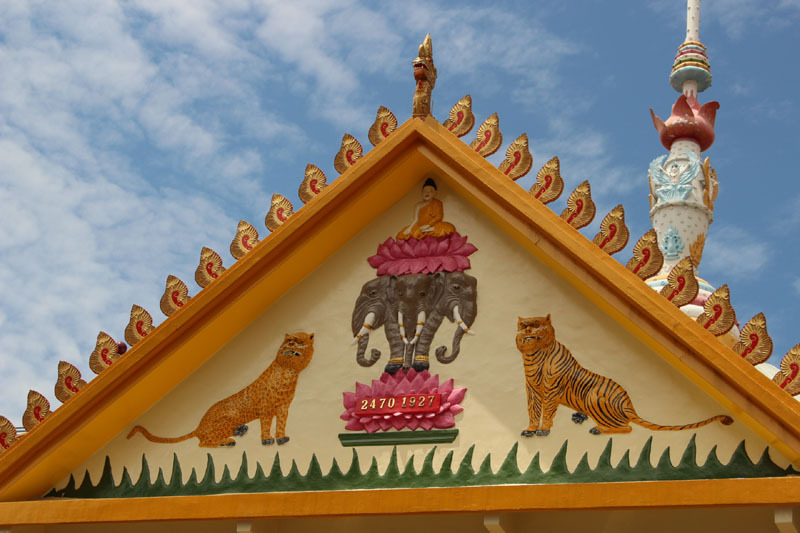 These two animal sculptures and motifs symbolize the spirit of the temple. The National Heritage Board earmarked the temple as a historic site in year 2000. 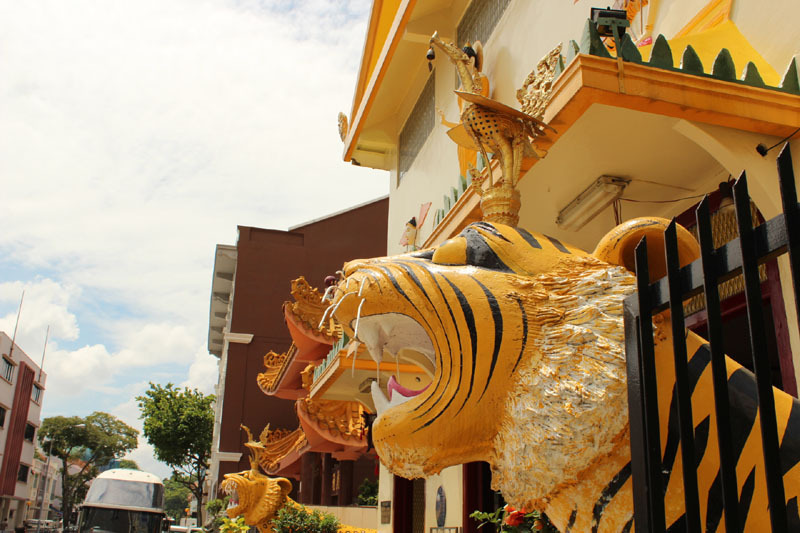 This entry was posted in Singapore Spot a Spot / 点出景点 and tagged architectural, Arts, community, Earth, human-rights, life, literature, photography, postaday, Religion and Spirituality, Sakya Muni Buddha Gaya Temple, Singapore, tourist spot in singapore. I really thought that first photograph was of a snake, until you explained. What an incredible place. Singapore is an amazing place! Thank you for showing us so much! 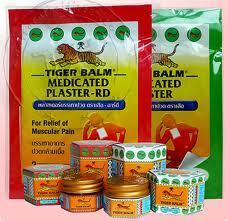 wow… they the one who invented tiger balm?